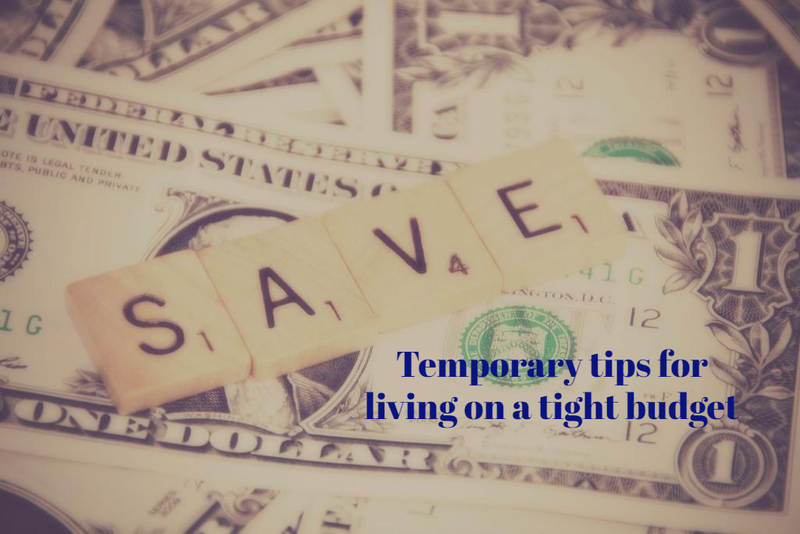 You know we love money saving posts over here but up to now we've only ever shared tips on saving money so that you can spend those extra pennies on the finer things like holiday's, days out, cute homeware etc. But what happens when life throws a few curveballs at you and suddenly all your hard earned pennies are being solely sucked up by bills and food. There's no shame in admitting that you need all the tips you can get for living on a strict budget. Obviously, living this way should not be a long term plan but rather a bit of advice for those tough times that we all have. I'm by no means a financial expert, I'm only here to share some helpful advice to see you through a short term money blip. If you are in debt or financial trouble then you should seek professional advice. Note down all of your regular outgoings on paper with the date they leave your account. This will give you a clearer idea of what's left after all the important stuff has left your account. As a general rule you want to be writing down your mortgage/rent, utilities (gas, electric, water), internet and TV bills, any insurance (home, pet etc), petrol/travel costs and council tax. Don't write your food bill down here because this is an area where you going to want to make a cut back which leads nicely to the next point. Once you can see all the outgoings that will automatically be taken from your account, you can see what your left with. This will be money that goes towards things like food shopping. You can make major savings with your food bill really easily by switching supermarkets, now is not the time for shopping at the likes of Asda and Tesco. Aldi and Lidl are our favourite supermarkets and we use these all the time regardless of the financial sitution. They are so much cheaper and have a great range of products. Take a look at where you can make cutbacks, for example alcohol and treats add a huge amount onto your bill so you're going to have to cut some of these out. You can cook some great budget meals from scratch and it saves you money (not to mention it's healthier) instead of buying ready meals. For a start on some easy and cheap recipes check out our turkey keema curry, chilli con carne and peach dump cake. The key word here is NEED, when it comes to being able to pay your rent or mortgage on time or having the top Sky package you need to get realistic. I know people who pay upwards of £100 a month for their TV and broadband packages. We pay under £30 and always have done since getting our own place because for us top packages just aren't necessary. Again, keeping our TV and broadband costs low is something that we've always done just because it suits us and saves us a lot of money but if you're someone who pays out for fibre broadband and a Sky TV package your going to have to slash those bills. We change broadband providers every time our contract is up which keeps costs super low also the only TV subscription service we have is Netflix, we'll occasionally pay for a month or two of Now TV but the majority of the time we only have Netflix and honestly we don't feel like we're missing out. Whilst trying to get your finances back on track some things are going to have to give and Sky TV etc just aren't necessities. The same goes for gym subscriptions and anything else that you're paying out for and don't regularly use. Paying upfront vs paying monthly - is paying your bills monthly really the best financial option?